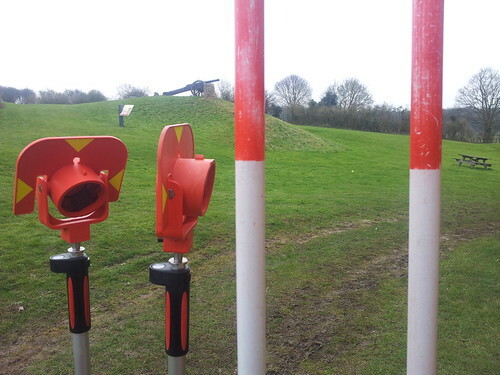 Today was a cold but very productive day up at Basing House. Preparing for day four of the topographic and building survey. March 2013. 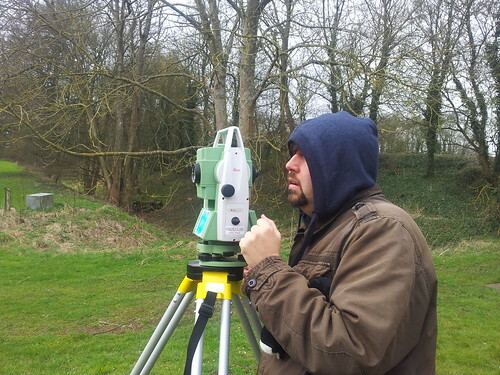 The student teams are getting faster at recording topography and have covered huge areas of the site. 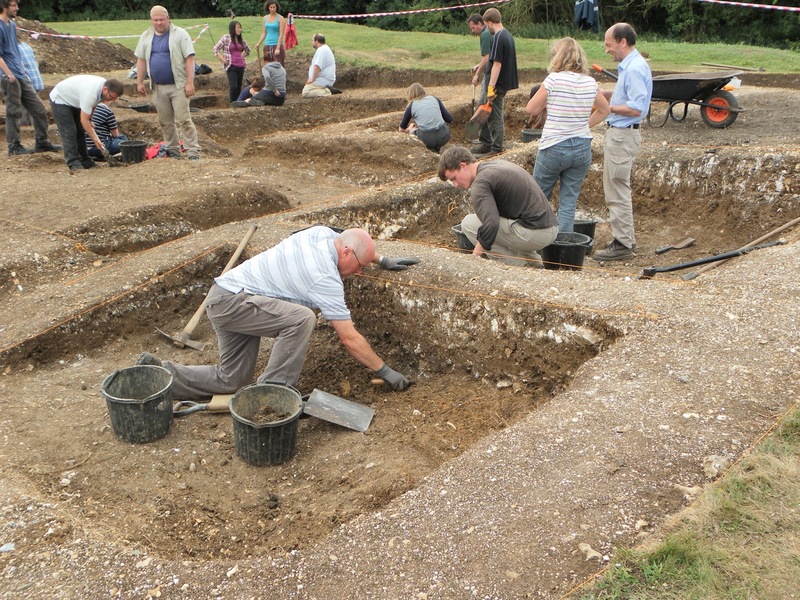 On day four, students have been surveying the earthworks at the south east of the site. Surveying in the limits of the New House has been tricky as there are partial walls to try to identify. Surveying the New House stables. One of the student teams is made up of Masters students, two of whom are planning to use Basing House as the major case study for their dissertation projects. The Masters students were working on surveying the very complex interior of the Old House today. It was out of the wind, but still very cold! The interior of the Old House today. It was out of the wind, but still very cold! I started a photographic suvey of the various grafitti on the site. 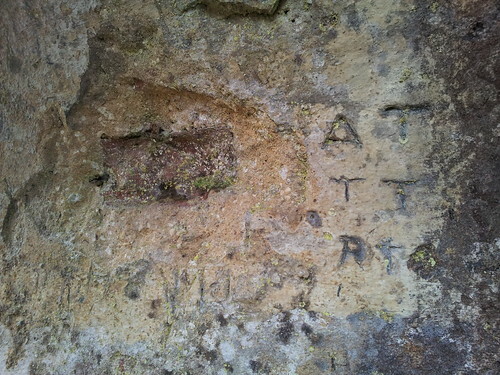 The photos below show examples of the variety of graffiti in the Old House etched into the plaster. We’re planning to use some new computational photography techniques to record this in the summer. Grafitti in the Old House. 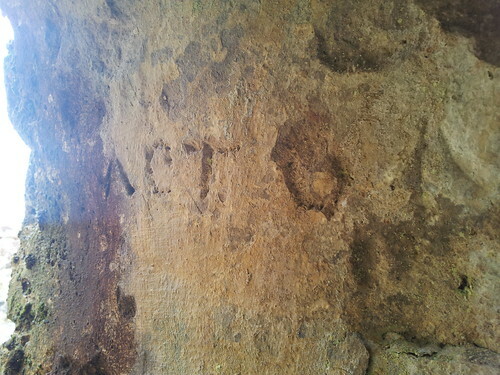 There is also lots of grafitti elsewhere on the site. This stone column is mounted in the wall of the Bothy, in amongst the corbels, and has a great picture of a man with what looks like a huge feather in his hat. We’ll be recording it all later this year.The corbels with their grotesque and animal faces are really fantastic. 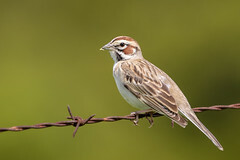 I think these would be great to record using photogrammetry to create 3D models of them as a record. 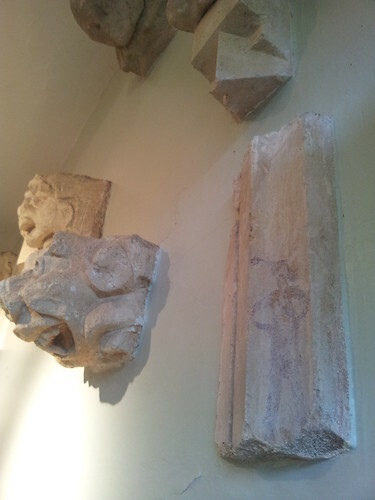 There are lots of corbels and graffitied stonework sections that I will use photogrammetry to record in the next week of surveying in April. 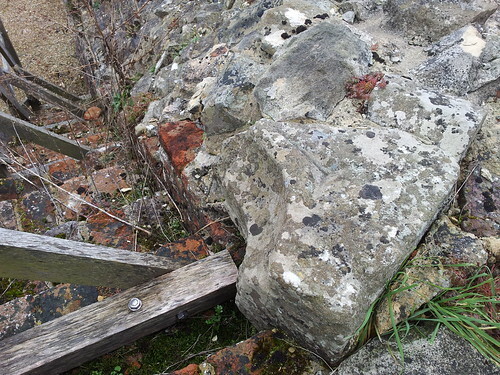 There are lots of stonework details around the site that have been reused to support various parts of the excavated ruins that I have started recording. 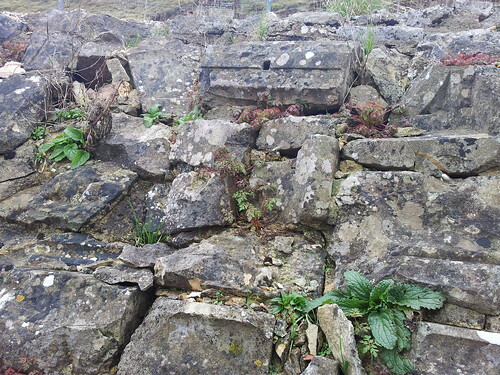 It would be great to record these in detail and begin to think about finding out more about the various pieces of masonry. You can see from the images below that there are some really very high quality window and door details being used to prop up earth banks. These were put here in the late 1800s, so the ‘new’ location is just as historically interesting as the stone pieces’ original use. 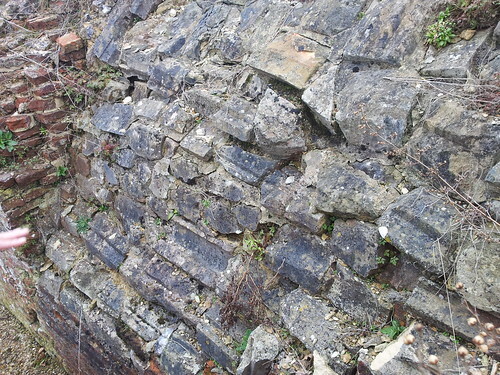 In the late 1800s, much of the discovered stonework was reused to create features and support brickwork. It’d be great to record this in the summer. Some more reused stonework in the Old House hall cellar. Stonework resituated in the Old House. We’ve been having a few visitors to the site over the past week, as Basing House is open to the public and we are happy to chat to people as they walk by. 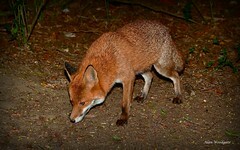 There have also been some visitors from local societies. Tim Sly has been printing daily reference images for the students to use as quick reference checks to ensure that we are covering the entire site, and these have been very handy to use to show interested visitors what we have been getting up to. This is a TIN (a map of 3D data created automatically from the points the student teams have been surveying in) with some contours on it. Its only a small part of the larger survey that we have been doing, but it gives an idea of the high quality of the data that the teams have been collecting. We had visitors today. Here, Tim and I are showing someone a print out of some of the data the students have been producing. 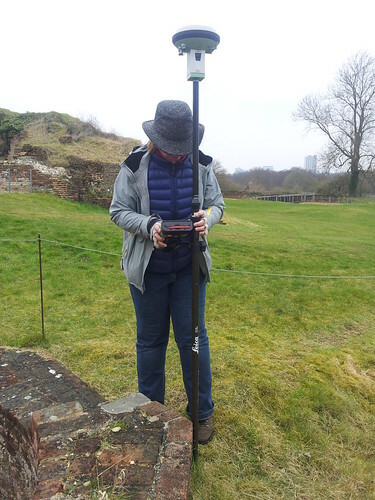 Lizzie Richley has been using the GPS since Wednesday to record parts of the site that the student teams are finding are difficult to survey using a total station. 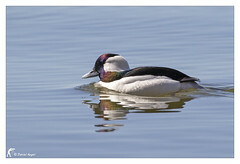 The GPS that we have been using does not need a base camp and so there is no cumbersome backpack to carry around. 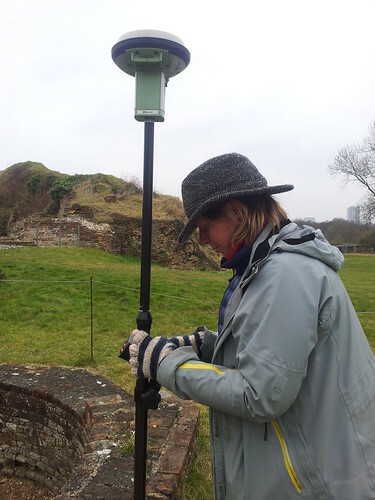 Lizzie showed me how the new GPS works, and I had a great time surveying in part of the motte and bailey this afternoon. Lizzie spent time showing me the new GPS today., Here we are in the entrance of the Old House. The new GPS has a function to see a map of all of the spot points, lines and areas that you have surveyed in. Its so satisfying to see all of the points appear as you walk the area that you are recording. 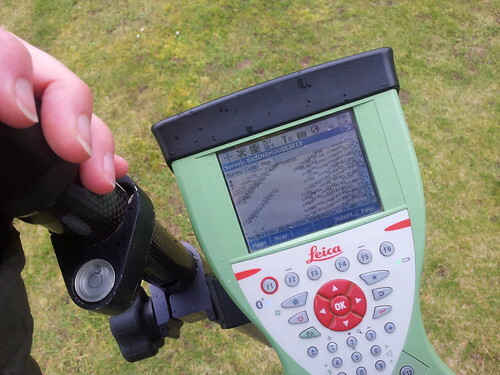 Using the GPS to survey parts of the site that would take a long time to use a total station to record. 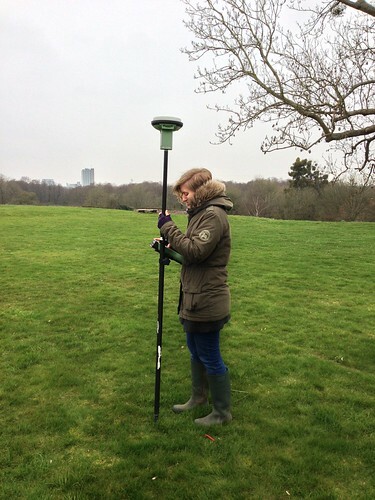 Using the GPS to survey in spot points on the motte and bailey. 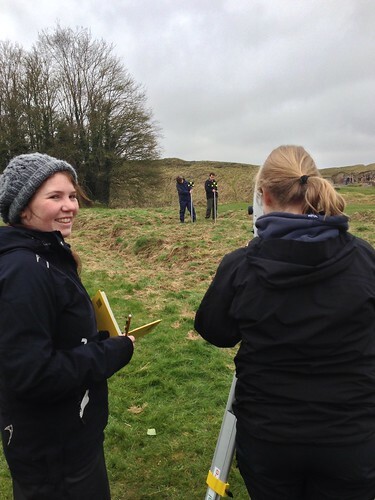 The GPS is great, but the stars of the show really are the student surveying teams. The work that they have been doing is really great. They have been working together to collect great quality data that will result in one of the first comprehensive surveys of Basing House. Without them this survey really would not have been possible. 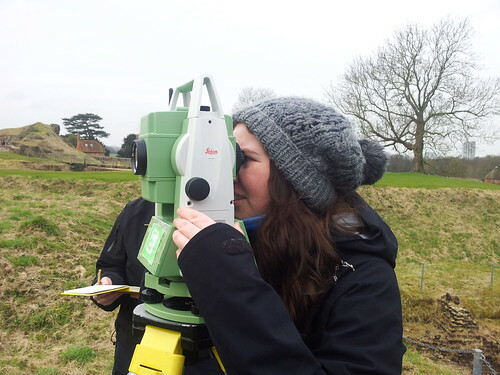 All 25 students and 8 staff members have been giving 100% to ensure that we get topographic coverage across the whole of the site; not to mention the additional building survey, which will give us a clear record of the Great Barn interior. Tomorrow is the last day for this first part of the survey (we continue again with geophysics between the 8th – 12th April), and there is heavy rain forecast for the afternoon, so we will be working even harder to try to finish the survey before the rain sets in. So wish us luck! 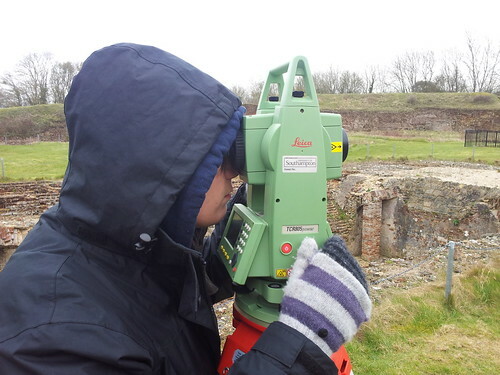 Today’s blog from Nicole for the survey at Basing House!